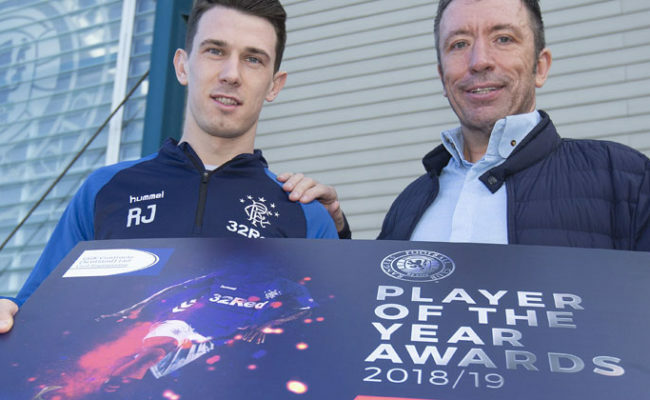 The boyhood Gers fan penned a two-year-deal on Wednesday which sees him return to Ibrox for a second spell, after leaving in 2012. He scored 38 goals in 138 appearances over a four year stay. He admits he never thought he would have the opportunity to return to Glasgow but always wanted to return to the club he loves. Speaking exclusively to RangersTV he said: “I have supported the club since I was a kid and I have played here before but the way I left I was disappointed. “Walking out those doors six years ago broke my heart but to be given a second chance to redeem myself I jumped at the chance. I am happy to be home. “Of course I always wanted to come back and put things right and show the fans what I am all about. “Did I think I would get another chance though? Not really. I went to Hearts last season and had a good season and now I have been given a second chance, which I am lucky to have. “I probably heard about five or six weeks ago but you hear things every single day in football at this time of year. While at Hearts Lafferty has watched the Steven Gerrard revolution from afar and been impressed by what he has seen – he thinks Rangers are returning to their best. He could make his Gers debut when FC Ufa visit Ibrox on Thursday evening the first leg of the Europa League play-offs. He continued: “ I think we are heading in the right direction, I think the gaffer has come in and has got us playing the way we want, attacking and defensively. “It has been a long time since we have seen a Rangers team like this so it is exciting times ahead. “The manager didn’t speak to me before but I have watched every game on TV so far. He is going to pull me in and have a word with me. “I wanted to be part of this because they are heading in the right direction and I want to be involved in winning trophies with Rangers. “Every game we have been attacking and have done well going forward but against Maribor away it was more back to the walls and they have come out of it with the result they needed – that was pretty impressive. 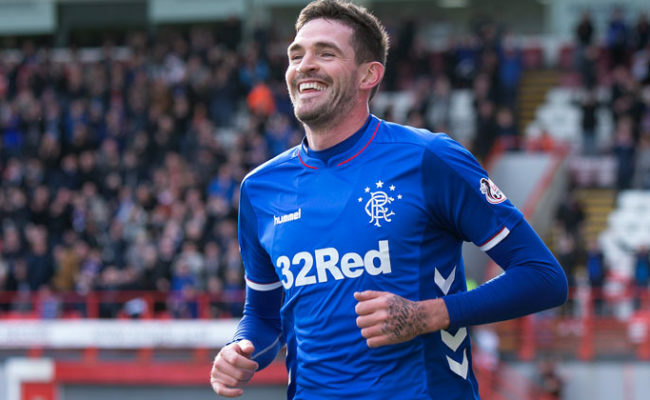 Gerrard told media he envisaged the 30-year-old as a number nine in his Light Blues team but Lafferty is ready to embrace the versatile nature which served him well in his first spell. He continued: “I am not sure where the manager sees me playing yet, Alfredo is doing really well at the minute and I don’t know if that us the pressure of someone new coming in. “He has upped his game so whether he sees us playing with one or two strikers I am ready to go. “If he sees me as the number nine then I have played there before as a lone striker but if he sees me and Alfredo playing together then I will happily do that.